The cruel irony being that rival candidates of the Awami League and the Bangladesh Nationalist Party, who were out on the streets to cheer their respective parties, were attacked by the mobs. From Srinagar to Bangladesh, the pellet gun has emerged as a readymade equipment to quell violence perpetrated by separatists or the home-grown political class. With less than three weeks to go for the general elections in Bangladesh, Tuesday’s mayhem across the country signifies a bloody prologue to the “swelling act” of the renewed tryst with democracy. Indeed, the campaign for the 30 December election has been marred at the threshold in seven major towns on just the second day of electioneering. The cruel irony being that rival candidates of the Awami League and the Bangladesh Nationalist Party, who were out on the streets to cheer their respective parties, were attacked by the mobs. Of provocation, there was little; of an attempt to rein in the violent crowds even less. There is little doubt that agent provocateurs are in action. Contextualised with the shambolic exercise five years ago, both sides ought to have held their fire. Quite plainly, Begum Hasina’s Awami League didn’t, just as it was impervious to the mortal convulsions in Dhaka over a road accident some months ago, not to forget the killing of rationalists by Islamists. At another remove, little can be expected of the rudderless BNP whose leader, Begum Khaleda, shuttles between the prison cell and hospital. She has been barred from contesting, and the announcement that she has been fielded from three constituencies has been reduced to irrelevance. A peaceful campaign followed by what they call a free and fair election is the least that was expected of the political class. If the election was uncontested five years ago, it will be a deeper tragedy if the run-up is vitiated as it was on Tuesday. The unrest follows a crackdown on the BNP in recent weeks, with hundreds of supporters from the main Opposition movement put behind bars before the start of the campaign. Bereft of a popular mandate, the Awami League government would appear to have proceeded from conclusion to premise. The very nature of its “election” has, for the past five years, undermined the credibility of the incumbent government in the perspective of the comity of nations. Not that it is on a weak wicket at home; but the inherent antagonism towards the BNP does suggest that it will strain every nerve to counter the Opposition even before the first vote is cast. Small wonder the Opposition has blamed “thugs” aligned to the Awami League. 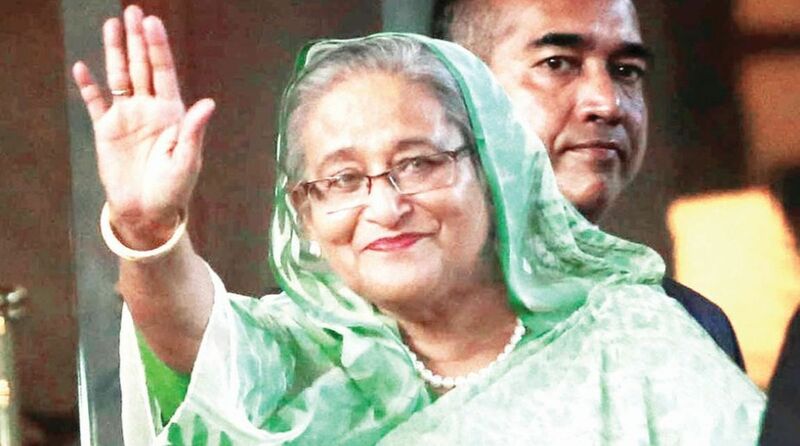 Prime Minister Hasina is running for a record fourth term in office. With victory almost assured, she is poised to be the country’s longest-serving Prime Minister ever since the heady days of liberation (December 1971). More the reason, therefore, for her to rein in the “thugs” on either side of the electoral fence. Trashed is the concept of a level playing-field.